Light Box is excited to partner with Music for Contemplation to produce this day-long composition workshop for all! The workshop includes silence, vocal meditations, and basic exercises to create music together. Over the course of the day, the group will compose and rehearse new music and present it at a public concert in the evening. No prior experience necessary — suitable for artists, poets, dancers, programmers, trained musicians and music lovers with no training whatsoever! Workshop begins at 9:30 am. Public performance at 8:05 pm. Read about past workshops below. Everyone is welcome to join the concert which will include music coming into the world for the first time, created over the course of the day by workshop participants. To apply for the workshop, email craig@craigshepard.net, tell us who you are and why you want to join. Popebama makes its international debut at Edmonton’s famous Fringe Festival! Works by Dennis Sullivan, Matthew Shlomowitz, Georges Aperghis, and Erin Rogers. HERE @ Governors Island. 408B Colonels Row. Governors Island. NY. Co-created by Stephen Christiansen, Katrina Donaldson, Matthew Watkins, Paul Pinto, Erin Rogers, Joya Scott and Jeffrey Young. 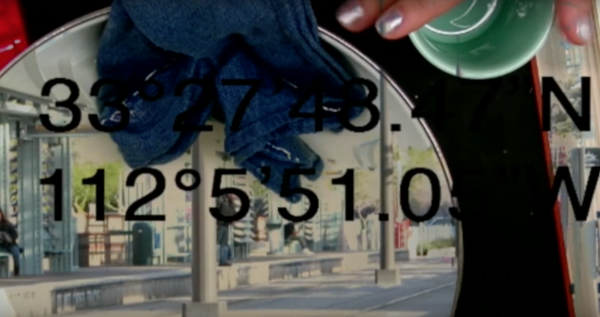 New York ensemble thingNY and Phoenix-based Orange Theatre are devising a new work of music-theatre centering around memory and maps, a surreal book of coordinates, click bait, tangents, and a fresh take on the classic American road trip. 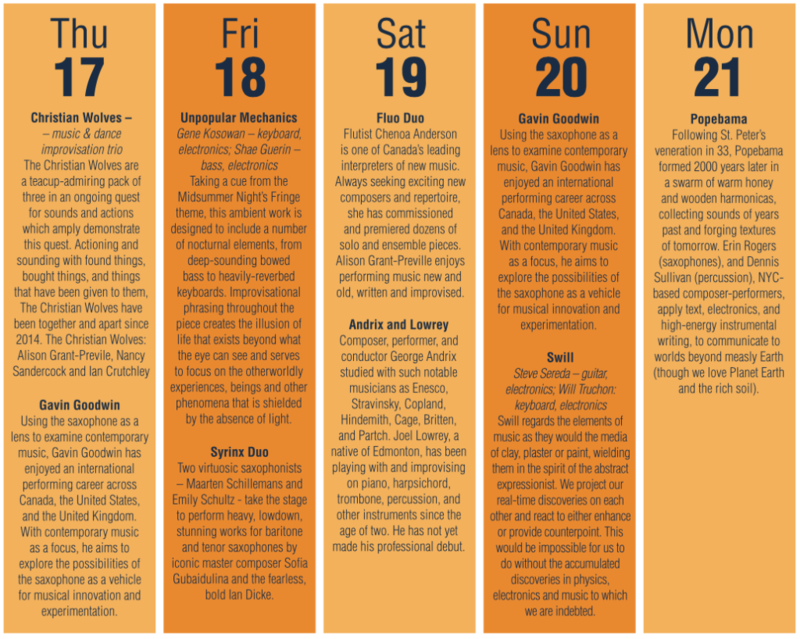 In January 2016, the groups met in Orange Theatre’s art space to create a radio play, and this summer their collaboration continues as a two-week residency on Governors Island. Come out and see what we’re working on. Presented as part of Paul Pinto and HERE Arts Center’s 2017 Residency on Governors Island. Delighted that my 2016 work Bandwidth (rev. 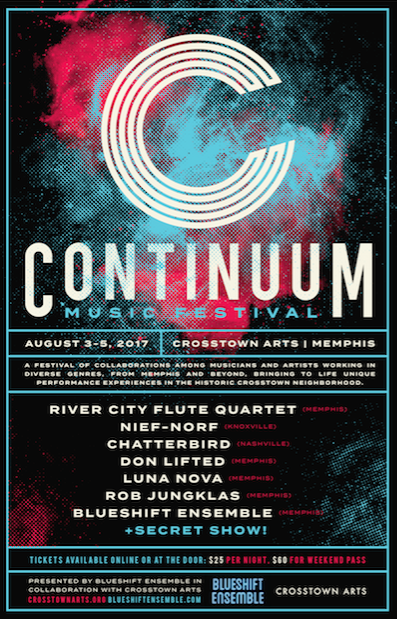 2017) for cello and electric guitar will be performed by Ashley Walters (vc) and Jay Sorce (elec gtr) at the Continuum Music Festival in Memphis, as part of a Nief-Norf Festival partnership. Presented by Blueshift Ensemble in collaboration with Crosstown Arts, Continuum is a festival of collaborations among musicians and artists of diverse genres from Memphis and beyond, bringing to life unique performance experiences in the historic Crosstown neighborhood and juxtaposing performances by contemporary chamber music ensembles such as Nief-Norf and chatterbird, with blues, rock, and hip-hop artists, like Don Lifted and Rob Jungklas.